The premise of Come Drink with Me is straightforward. There are bandits, they’re a menace, and the government can’t stop them. When the bandit leader (Chan Hung-lit, in a ghostly Lee Marvin-esque role) learns of Golden Swallow, the only warrior who could stand in their way, he grins and declares, “I look forward to meeting him.” The outlaws are blithely unaware that that Golden Swallow is, in fact, a woman. 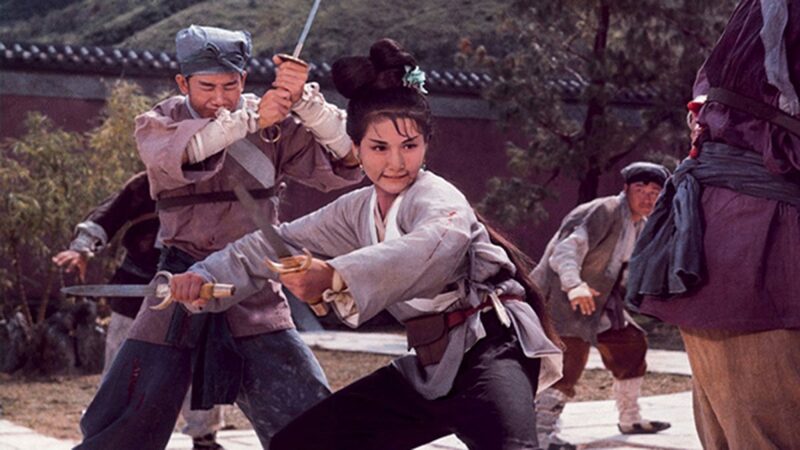 Hu favors a light-footed dance between actors and camera over “realistic” combat, so he wisely cast 19-year-old ballet dancer Cheng Pei-pei in the lead rather than a seasoned martial artist. Come Drink with Me was the first commercial success for director King Hu (Dragon Inn, A Touch of Zen), despite the Shaw Studio having rushed Hu through his fastidious, perfectionist process to complete the film. It’s tempting to dream of what an unhurried Come Drink could have become, since even the Shaws’ rush-job is already wonderful: beautiful and ruthless, bloody and refined, with sweeping lateral camera movements, choreography that’s delicately integrated with space, breathtaking location photography, rhythmic metric editing, and a musical number with singing orphans (Jackie Chan claims to have been among them – good luck confirming that one). 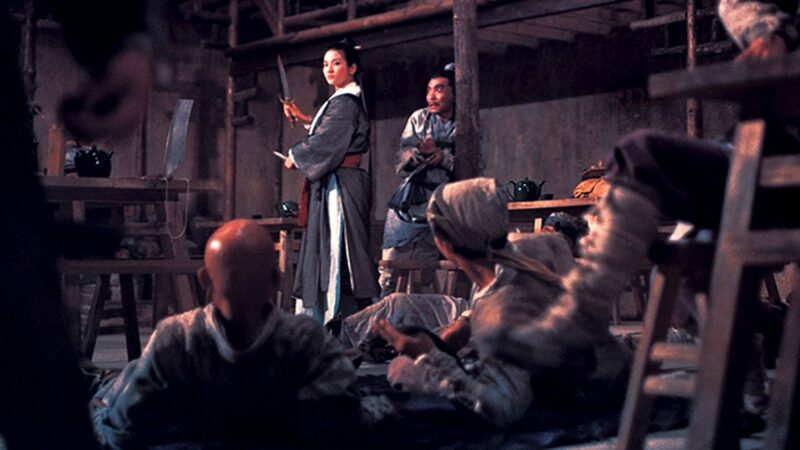 The film established a new class of wuxia films and set both King Hu and the Shaw Studio’s reputations in stone as forces in filmmaking to be reckoned with.